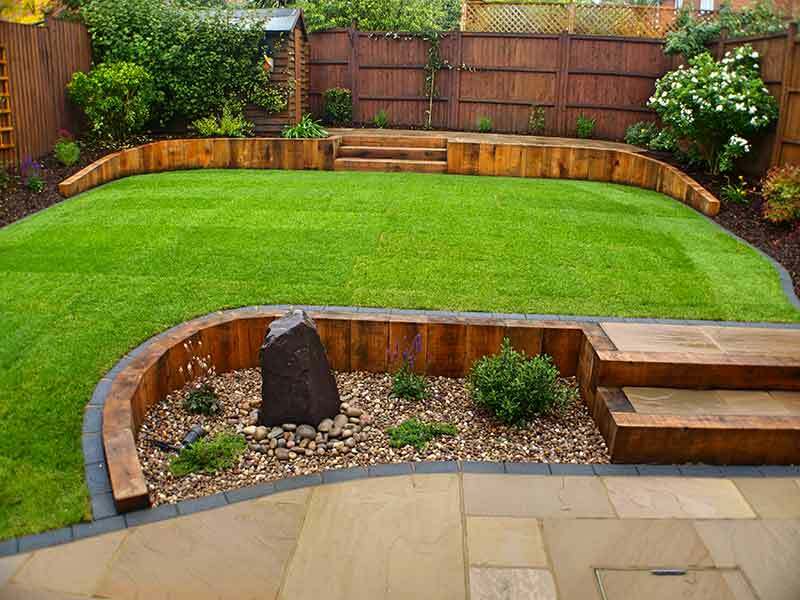 This garden was previously very functional, but not awe-inspiring in terms of design. 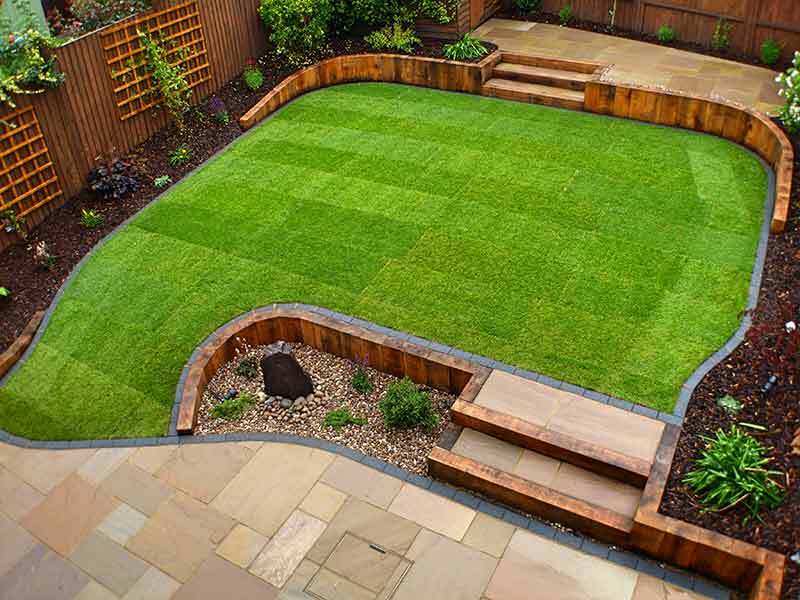 We radically transformed the living space by first creating a more gentle slope in the lawn, resulting in a much softer aesthetic. 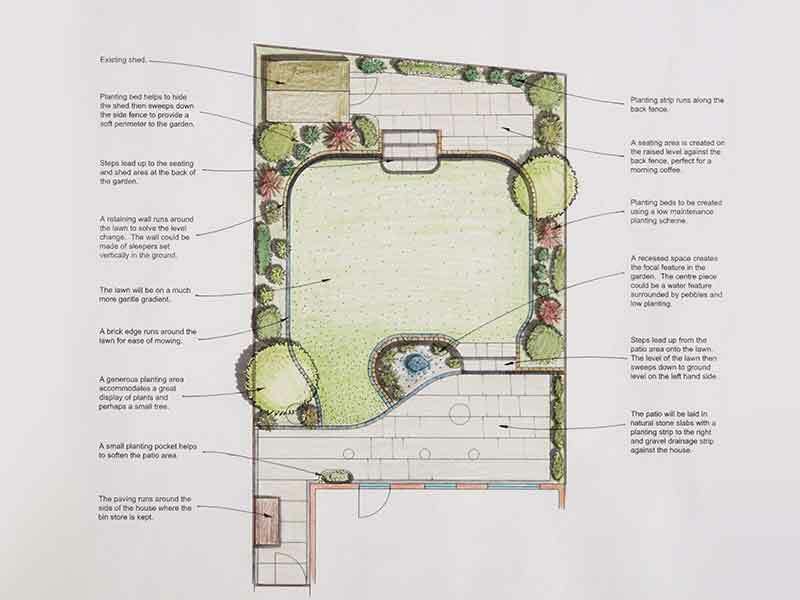 We also created a naturally paved patio at the foot of the garden, and a raised seating area at the rear – the perfect spot for a fresh morning coffee! 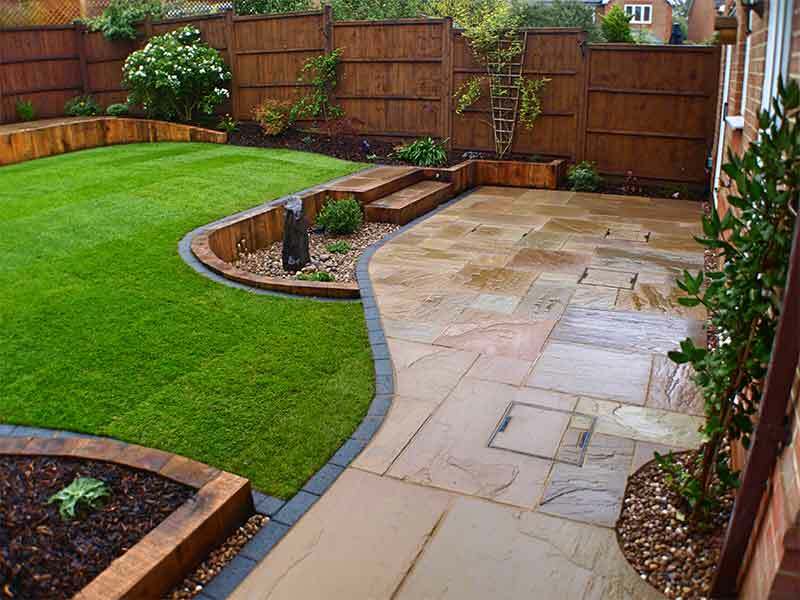 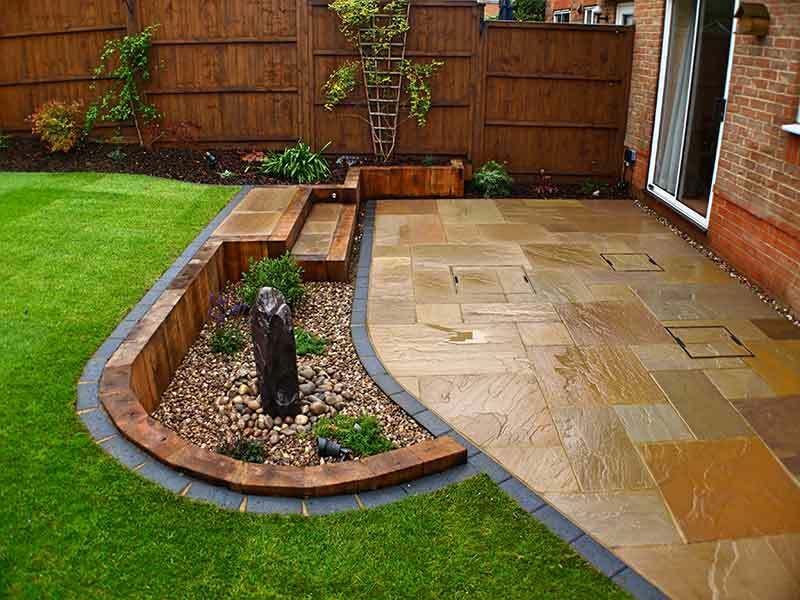 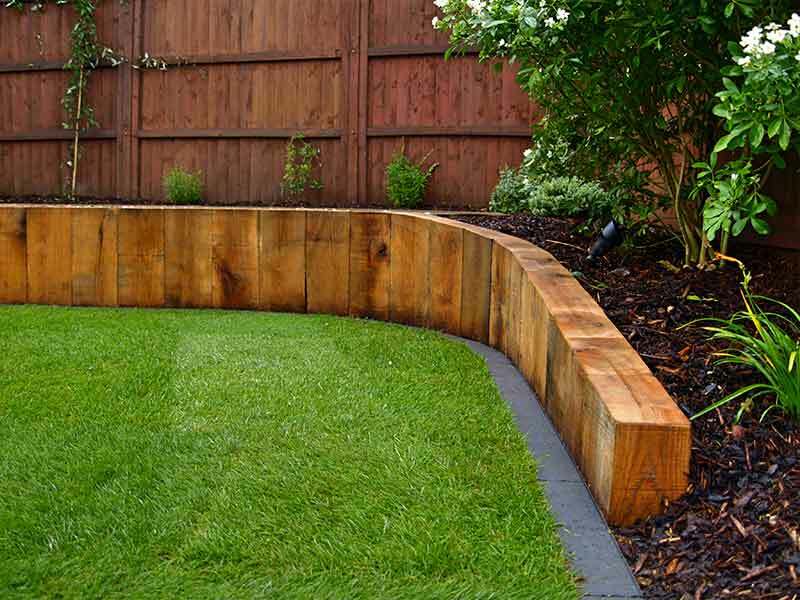 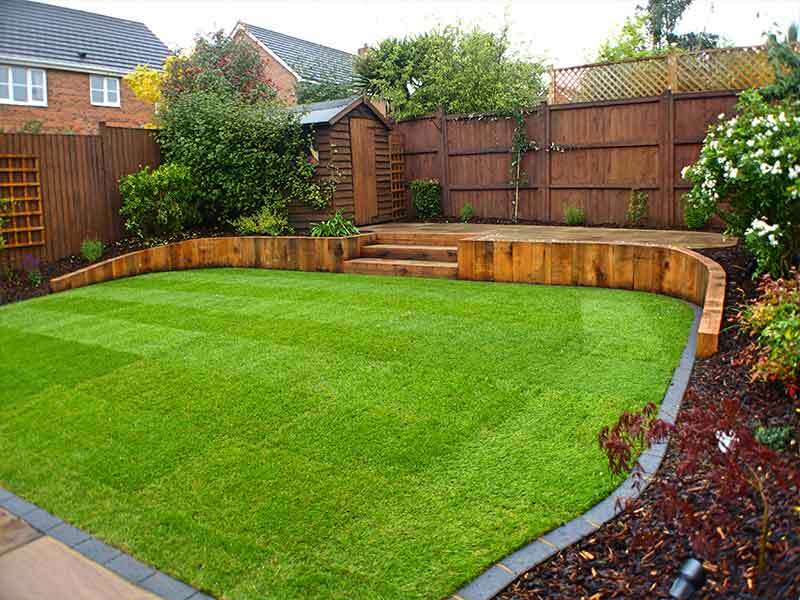 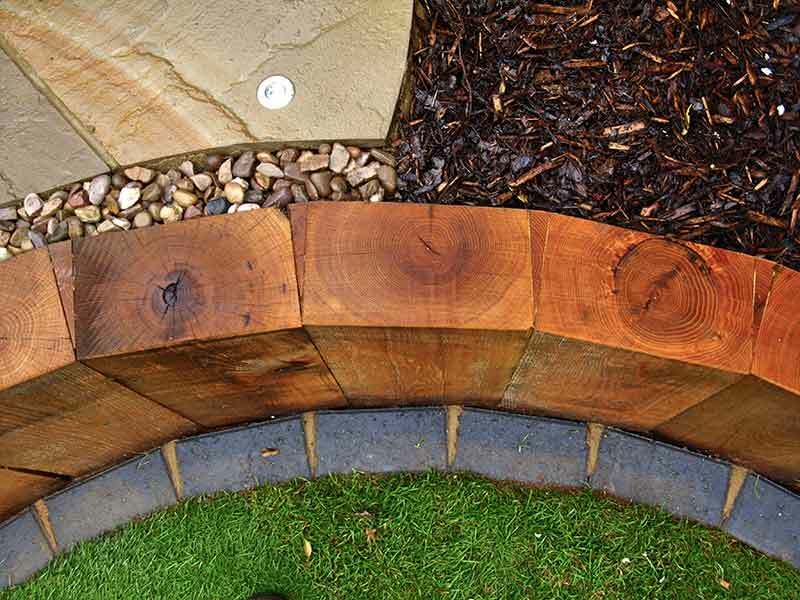 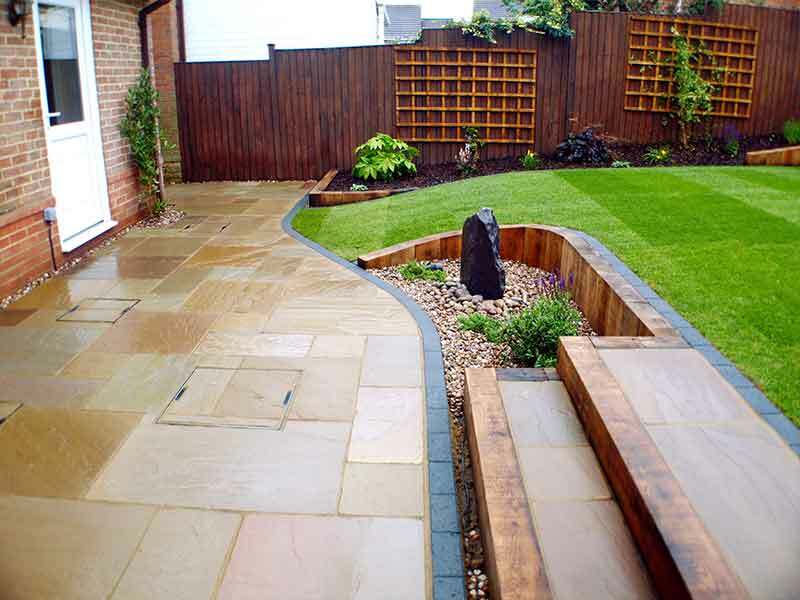 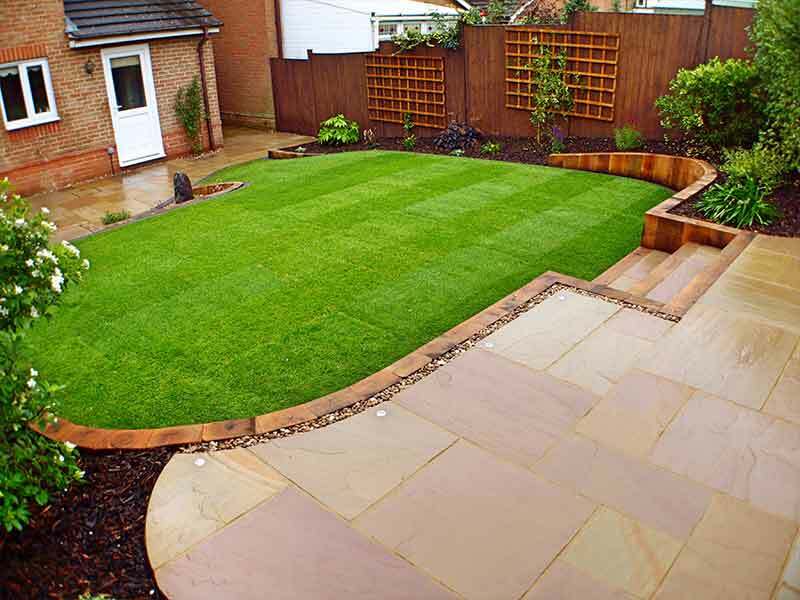 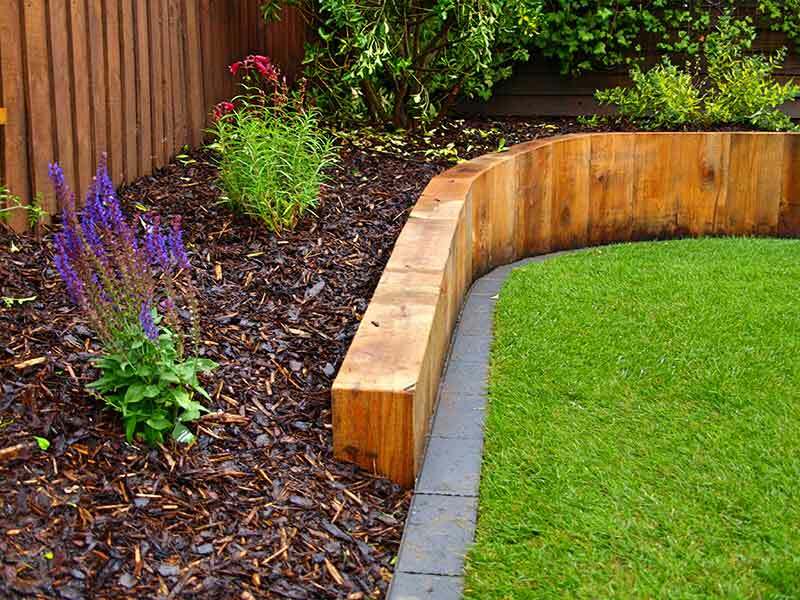 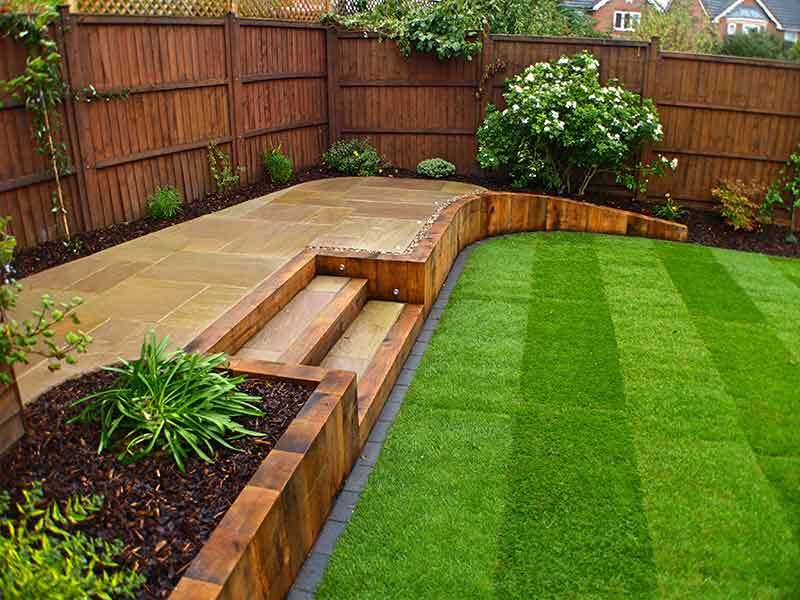 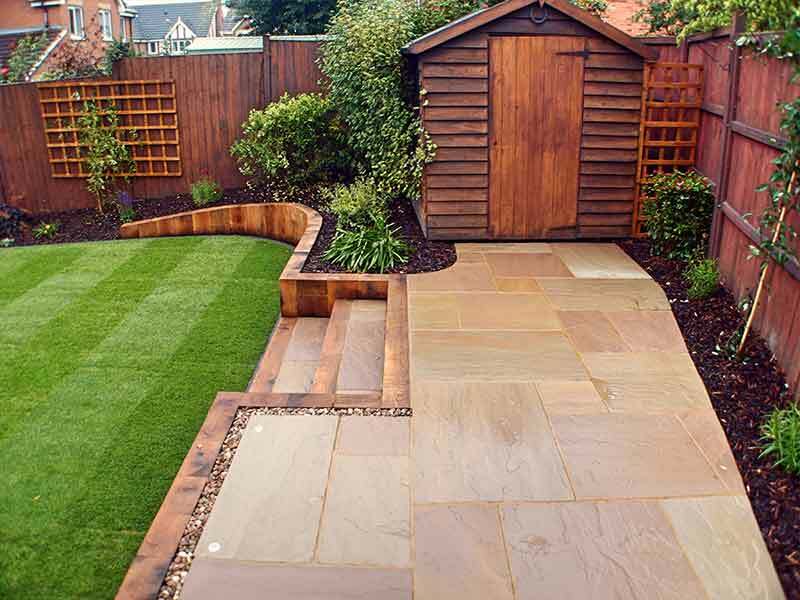 Solid wood edging not only adds a organic feel to the lawn, but also creates a clean border, making mowing much easier. 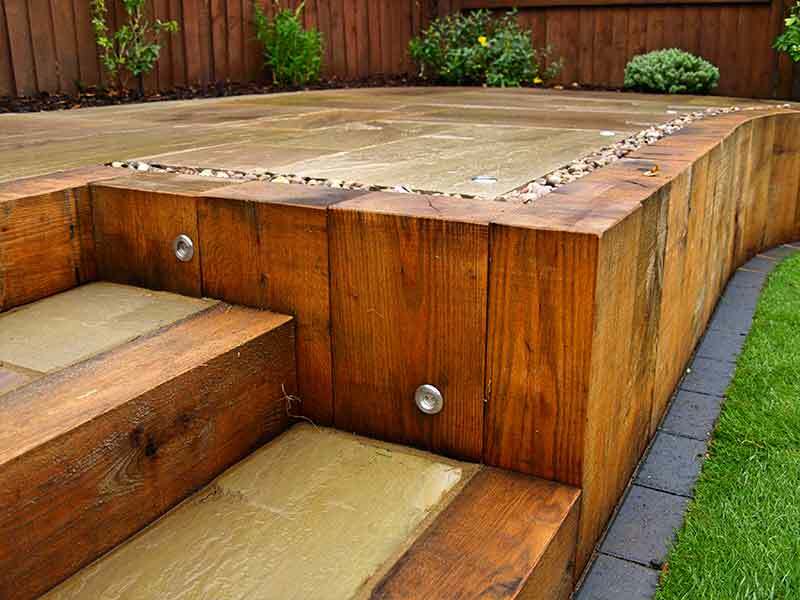 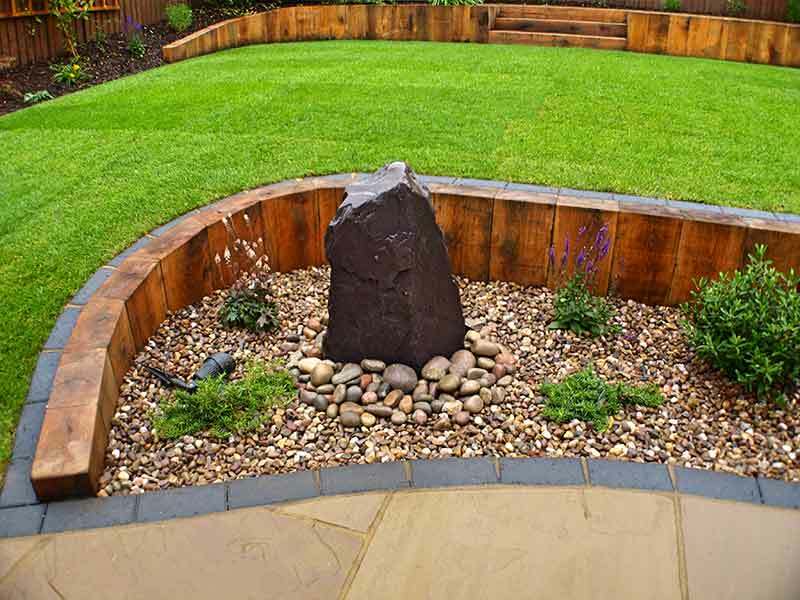 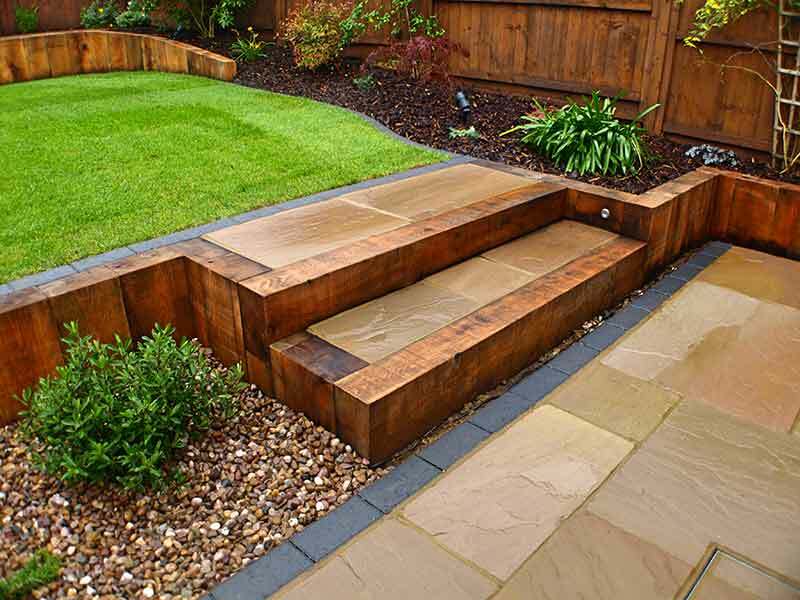 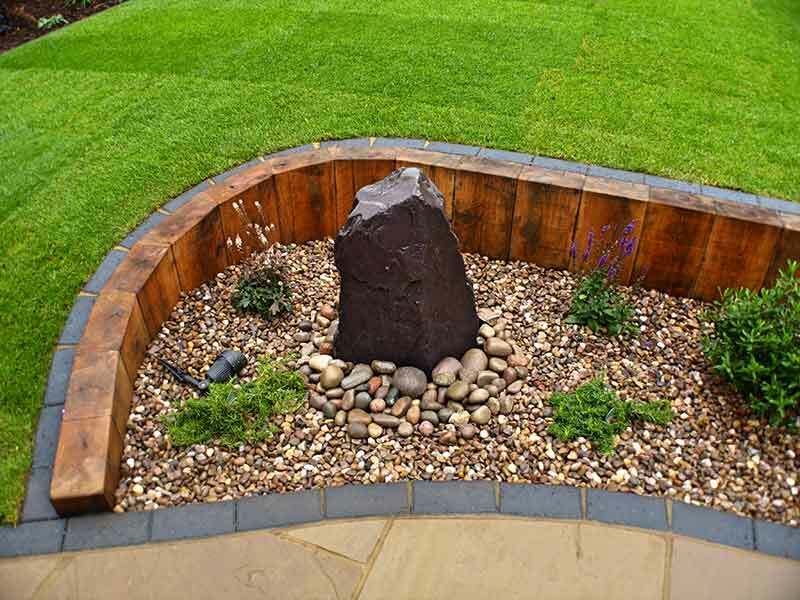 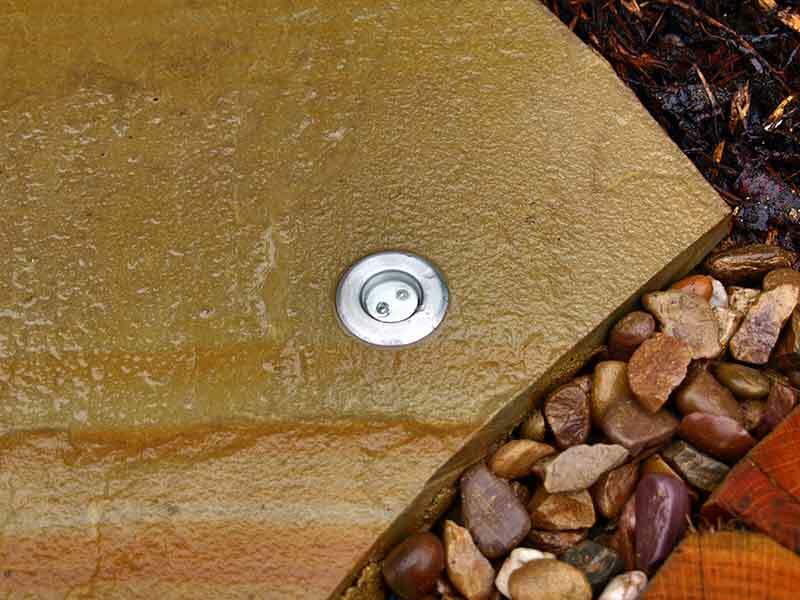 The focal point in the garden is a stone water feature, surrounded by pebbles and low plants to accent the feature. 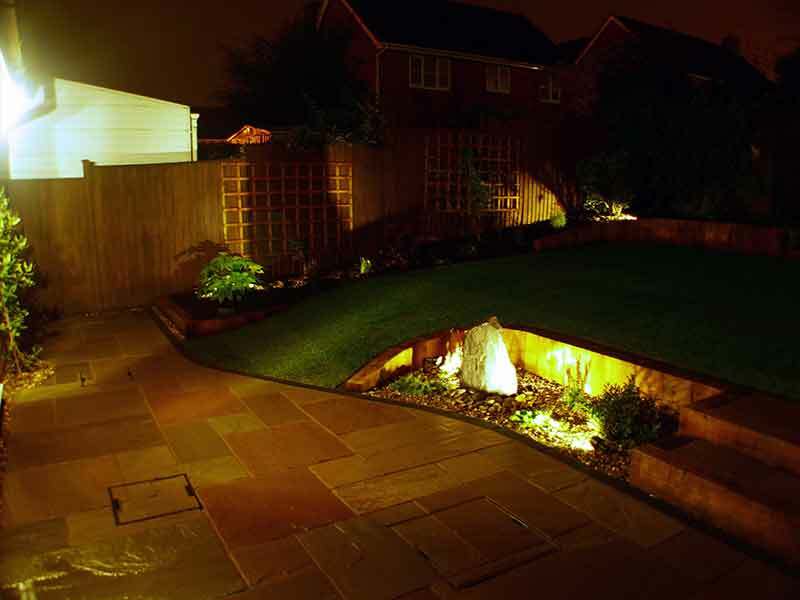 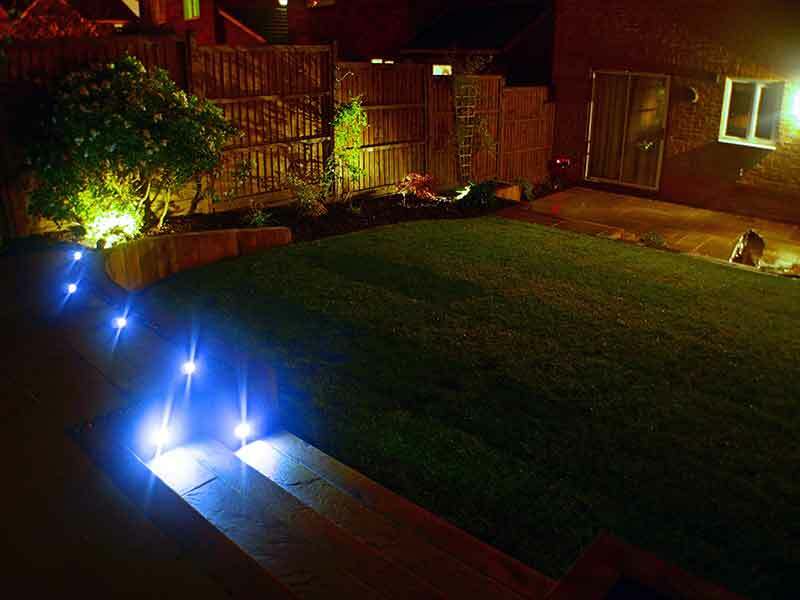 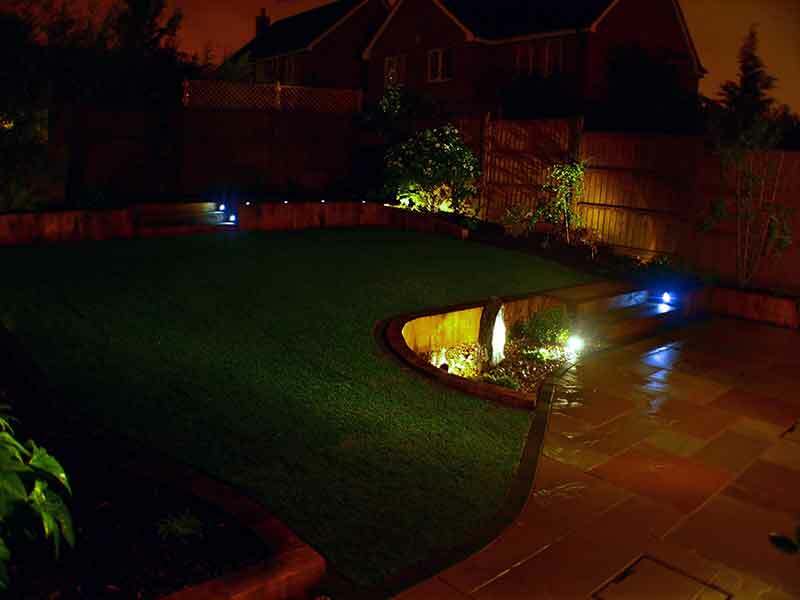 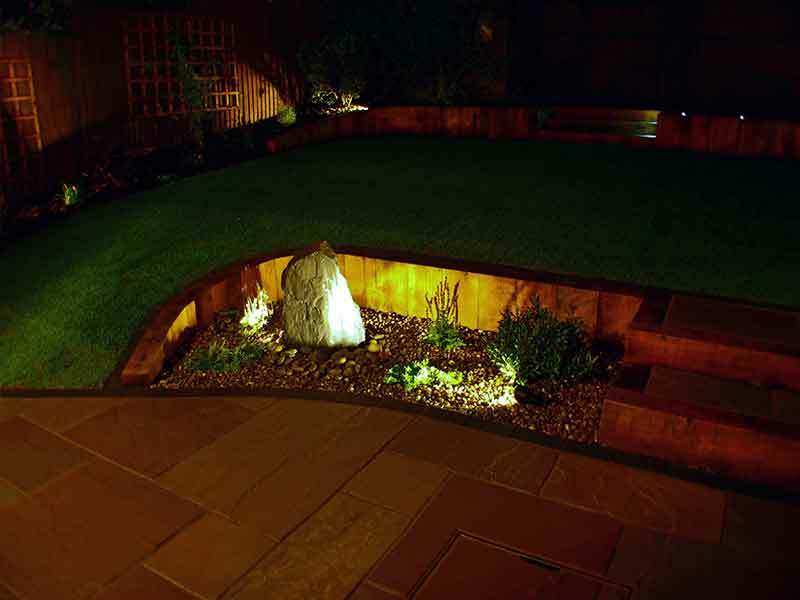 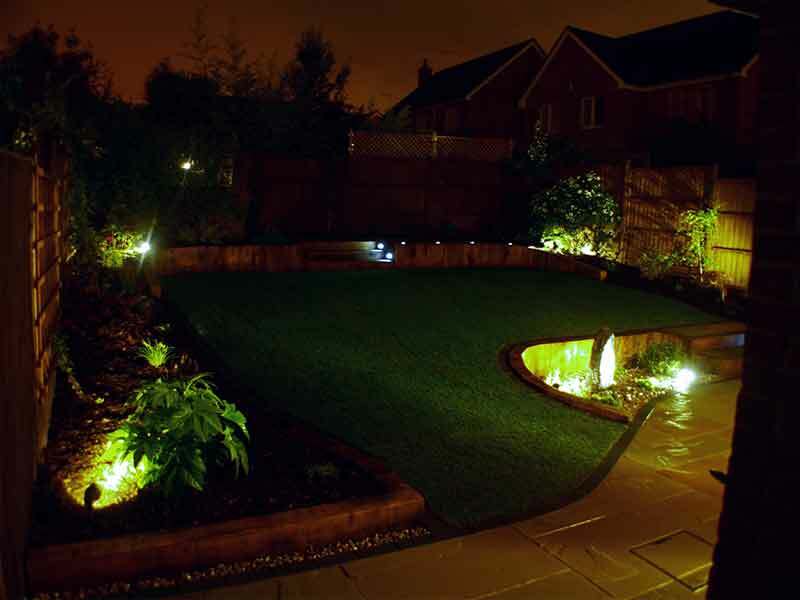 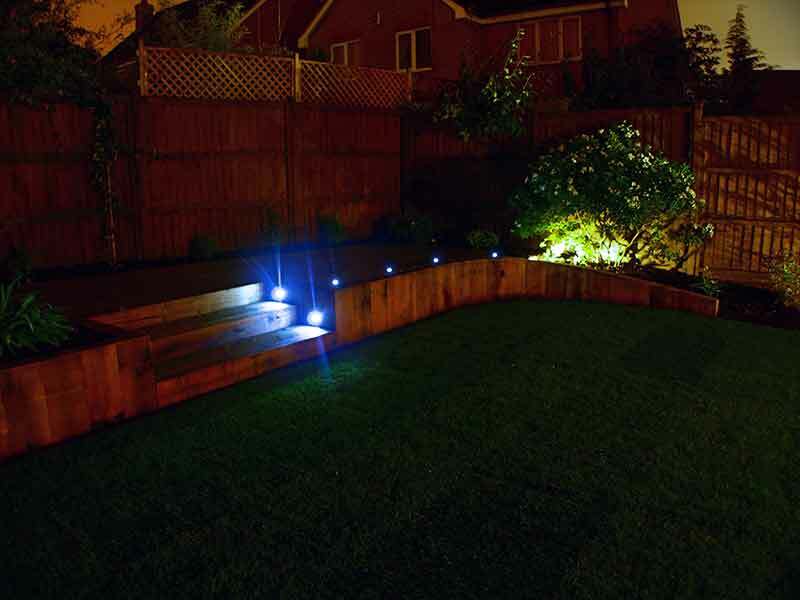 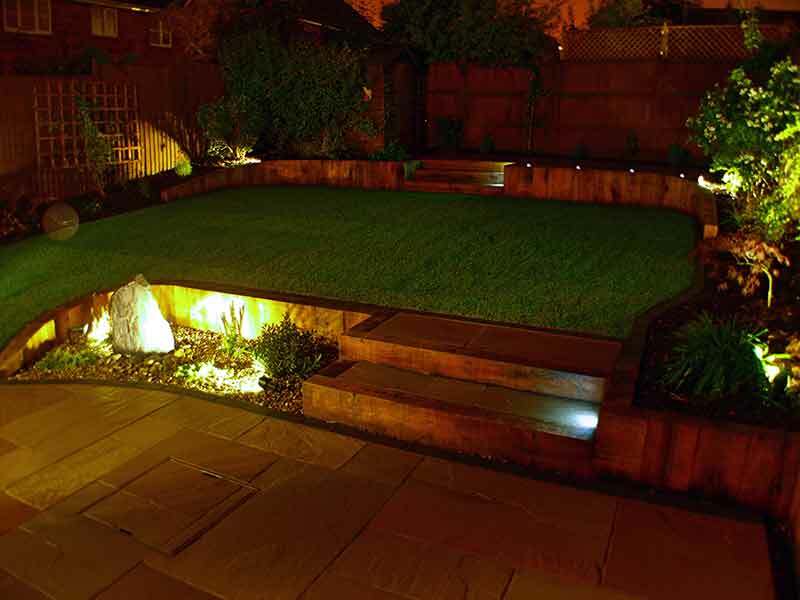 Well placed LED lighting throughout transforms the garden at night into a contemporary area, ideal for evening meals.